Here is a sign telling the history of the park. It looks a bit spooky doesn’t it? about 400 years ago until about 160 years ago, this was a cemetary for poor people. In those days Europe suffered from the horrific ”bubonic plague” and ”cholera”. We estimate up to 10.000 victims of these illnesses are buried here…. 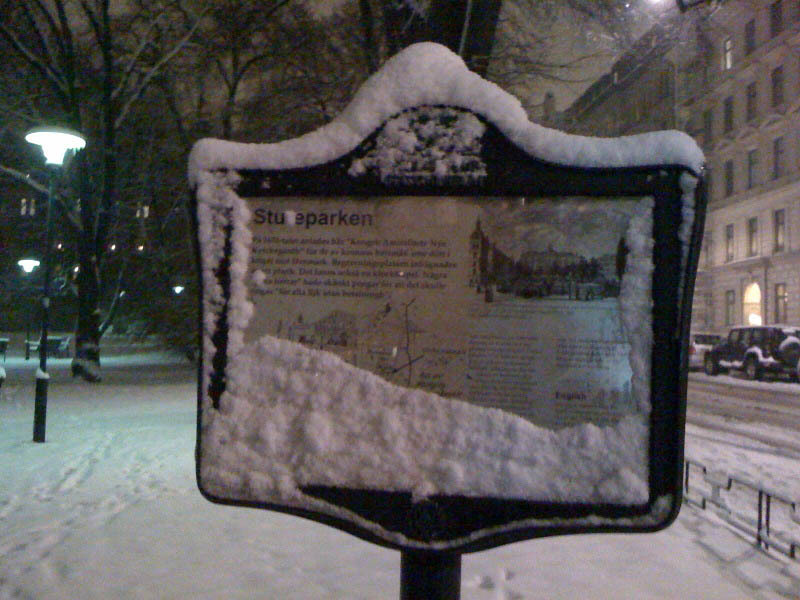 So sad…but in 1906 it was decided to create a beautiful park here! Some people who believe in superstition, probably avoid crossing this park though….. Nevertheless, neither Holden nor me are scared of ghosts and we love our park!